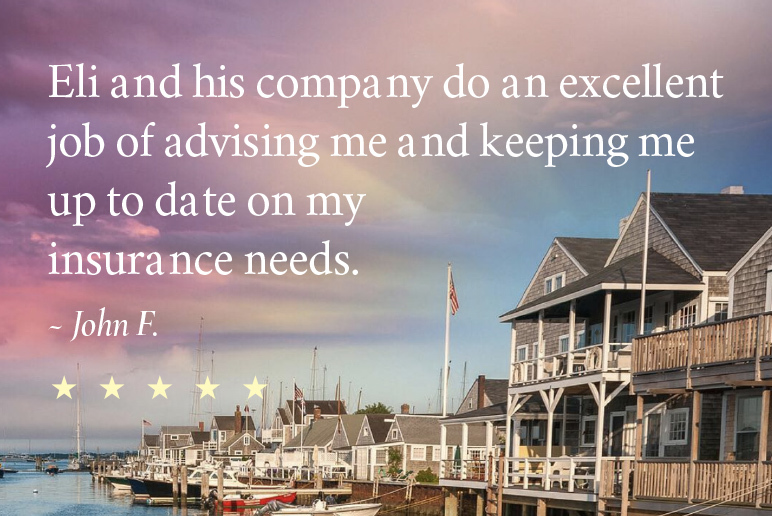 The Daigle & Travers team of Fairfield County insurance experts offers over 35 years of insurance expertise and extensive knowledge of personal and business insurance programs. Our guidance and recommendations will help you meet your financial goals, insurance protection needs and budget. We’re here to help. We can meet with you face to face or consult with you via phone or email. Contact us today for a quote on any of your insurance coverage needs. Peter specializes in the personal lines side of the agency, which ranges from homeowners and auto insurance, umbrella liability and fine art collections coverage. An agency owner since 1983, Peter enjoys assisting clients in making informed, responsible choices and fitting the insurance program to the individual characteristics of the account. The proper coverage at the best price is his formula for value. Most of Peter’s original clients are still with him because they value the individualized service and commitment to their needs. To read more, visit Peter on LinkedIn. Eli Zimmer is a partner and producer, specializing in property & casualty insurance with a focus on providing high-end products and concierge-like service. Eli holds a degree in Business Administration and Environmental Science from Skidmore College. He was featured in Fairfield County Business Journal’s “Top 40 Under 40” and was recognized by Connecticut Magazine as Five-Star Home/Auto Insurance Person of the Year for four years. Eli is always on the move; whether he is out in the community, in with clients or meeting with insurance companies, he is continually finding ways to optimize his clients’ experience and provide competitive products. To read more, visit Eli on LinkedIn. Tom is a partner and producer who works with commercial and personal lines clients to provide tailored insurance packages that are both comprehensive and competitive within the mid to high-end market. 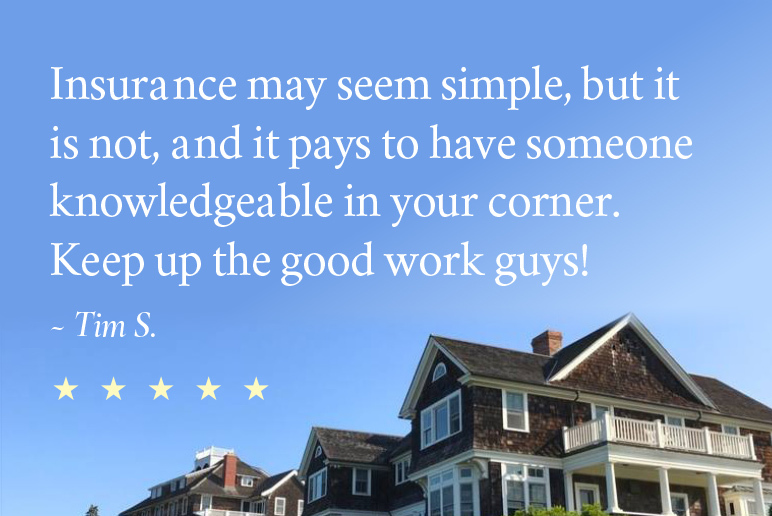 After 20 years of working in insurance in Fairfield County, Tom knows what his clients expect and anticipates their needs. He graduated from the Hartford School of Insurance at the top of his class and was recognized for 6 years by Connecticut Magazine as the Five-Star Home/Auto Insurance Person of the Year. He earned his CPIA designation and holds a license in both CT Property & Casualty and Life & Health Insurance. Tom has been a member of the Westport Sunrise Rotary since 2002 and received the Paul Harris Fellowship Award for his years of contributions and service. Tom holds a degree in History from Westminster College. To read more, visit Tom on LinkedIn. Peter comes to Daigle & Travers having spent 10+ years in the financial sector as an analyst of mortgage-backed securities. He brings with him a wealth of knowledge and an exceptional work ethic from the demands of the investment banking industry. His keen eye for detail and financial acumen ensure an accurate and meticulous process for his clients. Being resourceful, diligent, ahead of the curve, and finding customized solutions are hallmarks of Peter’s risk management assessment. Peter graduated with a degree in Journalism & Mass Communication from the University of North Carolina at Chapel Hill, where he was an All-ACC honors student, and a face-off midfielder for the Tarheel Lacrosse team. To read more, visit Peter on LinkedIn. Brittany is in charge of our farm and equine division, specializing in horse farms, equine mortality and major medical coverage. She has been an avid equestrian since 2001 which drives her desire to see that horses, owners and barns are properly insured. She brings this same dedication to all clients as she writes policies for both personal and commercial lines. Brittany is a member of FWPHA, CHJA, USEF, USHJA and BNI. She graduated on the dean’s list from Sacred Heart University with a Business Administration Degree and minor in marketing and has been working in insurance since 2011. When she isn’t working, you will find Brittany toting around her Pomskies Ellie and Bear or riding and showing her horse, Honor, in the hunters and equitation. To read more, visit Brittany on LinkedIn. Mark joined Daigle & Travers in 2018 with 10 years of risk management experience in Fairfield. As a lifelong Fairfield County resident, he understands the lifestyle and unique needs of area residents. Mark prides himself on being an advocate for his clients and fully accessible when they need him. He is an active member of the Fairfield Chamber of Commerce and Fairfield Emerging Leadership Organization. When Mark isn’t working, he is coaching or spending time with his son and daughter. Mark has been involved with Darien Youth Hockey for the past decade and currently coaches U10 and U18. To read more, visit Mark on LinkedIn. Liz began her insurance career over 16 years ago and has in-depth knowledge of and specialization in small to large accounts for real estate, nonprofit, technology, and contractors. She is an active member of the International Association of Insurance Professionals on a local and regional level, which allows her to keep current on insurance education and issues. She joined Daigle and Travers in 2017 and was promoted to manager in 2018. To read more, visit Liz on LinkedIn. Larry joined Daigle & Travers in 2004 after having been in the insurance industry since 1977. He has procured an exhaustive knowledge and highly regarded reputation through working as a licensed agent and account representative for four decades. Larry is admired by clients for his experienced counsel and his expert execution of policies. When he is not at the office, Larry can be found working out at the gym or hiking with his wife and their dog. Marisol began her career in personal lines specializing in auto and homeowners insurance in 1995. She worked for Florida Insurance Specialist, one of the largest independent insurance agencies in FL. Marisol joined D&T in 2016, transitioning to commercial lines as a Technical Assistant and then promoted to Account Executive. She is licensed in Property and Casualty Insurance. As one of our bilingual team members, Marisol is able to provide exceptional service to both our Spanish and English speaking clients. Kathryn is a seasoned insurance professional who joined Daigle & Travers in 2018 with twenty years of experience. During the span of her career, Katie worked in wholesale brokerage, personal lines, commercial lines and underwriting. Katie is a lifelong Fairfield County resident and a graduate of Western Connecticut State University. When she is not in the office, you can find her enjoying the outdoors, hiking or spending time with family and her dogs. To read more, visit Kathryn on LinkedIn. Tom began his career in insurance through a High School internship program. After completing his Bachelor of Science in Business and Technology at UConn, he furthered his insurance knowledge by becoming licensed in Property & Casualty as well as Life & Health in 2005. As a passionate “people person”, Tom enjoys working with his clients and building relationships. In his free time, he is the youngest board member of the Stamford Symphony, a volunteer at a local Stamford animal shelter, and an avid traveler. He also enjoys participating in local road running races, triathlons, and assists in mentoring runners for half-marathons. To read more, visit Tom on LinkedIn. Lauren has worked in the insurance industry for 18 years. She began her career in personal lines and then transitioned to commercial lines 12 years ago, joining D&T in 2019. She is licensed in Property & Casualty Insurance. Lauren enjoys building relationships with her clients and helping them with their insurance needs. In order to keep current and provide excellent service, she continues to educate herself and has obtained two designations through The Hartford School of Insurance. Her current designations are Commercial Lines Coverage Specialist and Small Business Coverage Specialist. Lauren is a member of Southern CT Insurance Professionals. She enjoys spending her free time with her husband, daughter and dog. Lauren graduated from Roger Williams University with a degree in Marketing. She worked for Electric Insurance Company in direct sales and agency services where she partnered with agents countrywide to write business & underwrite risks. Lauren joined Daigle & Travers in 2010. She brings a unique perspective on company guidelines & risk placement having worked directly with both customers and carriers. In 2019, Lauren was promoted to Personal Lines Manager. In her spare time, she enjoys spending time with her husband and dog and volunteering at a local animal shelter. To read more, visit Lauren on LinkedIn. Janice joined Daigle & Travers in 2002 as one of Peter’s first hired employees. Since joining the insurance industry in 1987 at the Norwalk Agency, she has developed the expertise of Personal Lines Underwriting Guidelines & Insurance Coverage Solutions. She strives to educate her clients so they can make informed decisions about protecting their assets. To read more, visit Janice on LinkedIn. Marla began her insurance career in 2000 working as an Office and Accounting Manager. She received her CT Producer License in 2002 and her Certified Insurance Service Representative (CISR) designation in 2016. 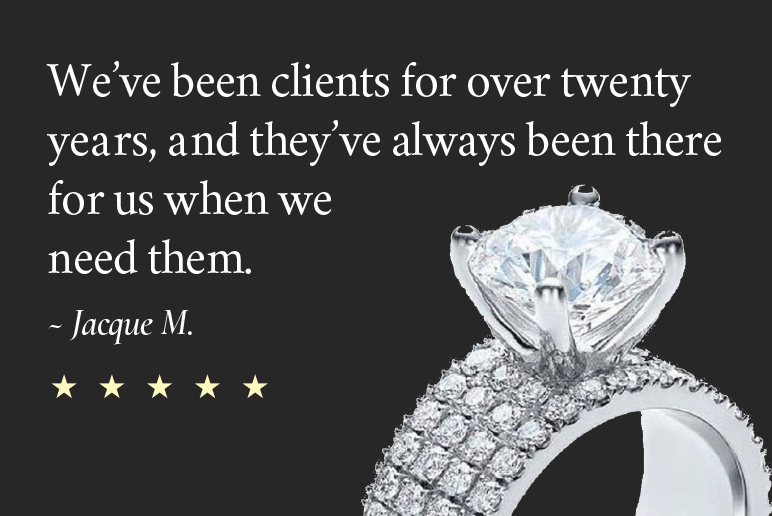 She loves developing long-lasting relationships with her clients. Marla was born and raised in Greenwich. She would love to assist you with your Boat Insurance as she has enjoyed boating on Long Island Sound most of her life. To read more, visit Marla on LinkedIn. Cheryl graduated from Berkeley College with an Associates Degree in Fashion Marketing and Management. In 1994 she switched careers and began working for Mills & Mills Insurance as their Receptionist and Administrative Secretary. After many years of gaining insurance industry knowledge, she decided to pursue an insurance license which she earned in 2012. Cheryl was born, raised and still lives in Wilton with her family. She truly enjoys servicing her clients. To read more, visit Cheryl on LinkedIn. Olivia is from the San Francisco Bay Area. While attending Las Positas College, she began working in the field of Home Warranties, first in Customer Service and then as a Claim Authorizer. In 2005, she began her career in Insurance with AAA-California State Automobile Association where she worked as a CSR II with the Insurance Help Desk. In 2007, she moved to Connecticut, remaining with AAA Northeast where she received her CT Producer License in Property & Casualty. Then in 2014, she earned an additional Certified Insurance Service Representative (CISR) designation. Olivia joined the Daigle & Travers team in August 2016. She enjoys customer interaction and offering personalized service. She also enjoys boxing, Buster Keaton movies and living in a state that has more than two seasons. Michelle joined Daigle & Travers in 2018 after working the past 4 years with Maritime Program Group as a high net worth underwriter. Her career began in 1998 within the Brown & Brown organization working with large commercial property/liability account placement with Excess and Surplus carriers. She then specialized in writing professional lines business, such as architects & engineers, technology and lawyers/doctors. In 2008, she transitioned to personal lines and has thoroughly enjoyed working with clients to help them find the best insurance solutions. Michelle hails from the sunshine state but has been living in CT for the last 14 years. In her free time, she enjoys spending time with her family, working on various community service projects and traveling. She is thrilled to be celebrating her 20th year in insurance this year! Stephanie comes to Daigle & Travers with a career spanning two decades and two continents. She grew up in Germany, studied economics and foreign languages at University in France and then specialized in international facultative liability reinsurance for ten years before moving to the US. Stephanie raised her 3 kids while in the States, dabbling in teaching language part-time. She is trilingual, speaking German, French and English as well as some Spanish and Italian. When not working, she enjoys traveling, gardening, hiking, reading, playing with her Bengal cat Milo. Stephanie joined us in 2018 and is thrilled to take care of clients and their insurance needs and working a great team of people in Wilton. To read more, visit Stephanie on LinkedIn. Stacy is a lifelong Fairfield County resident with twenty years’ experience in the insurance industry. She spent the first part of her career working in her family’s insurance agency before becoming a Personal Lines Manager in upstate Connecticut and finally landing at Daigle & Travers in 2018 as an Account Executive. Stacy’s favorite part of working in insurance is being able to collaborate with her colleagues and having the ability to help clients during their times of need. In her free time, Stacy loves to vacation with her family and as a new empty-nester, she looks forward to the opportunities that the next chapter of her life will afford. To read more, visit Stacy on LinkedIn. Jessica previously worked as Health Care Administrative Coordinator in New York City before joining our team. She holds an Associate Degree in Science. Jessica joined Daigle & Travers in 2015 and currently serves as our Human Resource and Office Manager. To read more, visit Jessica on LinkedIn. April is the friendly voice who greets our clients from our Darien location. If you notice a gentle southern articulation when you call that is because April lived in the Carolinas for much of her life during which time she served as South Carolina’s Unemployment Claims Specialist. After decades of working in administrative roles, she joined the Daigle & Travers team in 2018. April looks forward to immersing herself in the insurance industry and embracing Daigle & Travers’ mission of providing superior customer service to our clients. April loves animals and cooking and in her free time, she enjoys listening to inspirational music and old-school jazz. Lisa has been with Daigle & Travers since 2007 and currently serves as our dedicated Billing and Claims Specialist. She handles all billing inquiries and policy payments. Lisa is also our claims concierge; she files claims, tracks them and is available to assist with client questions or concerns as they arise. In her free time, Lisa loves to visit with her family and take motorcycle drives in the country. Michelle has worked in the insurance industry for over 20 years, working at Mathog & Moniello, Webster Insurance and USI Connecticut before landing at Daigle & Travers in 2010. She is licensed for property & casualty, life & health insurance with 20 years of insurance industry experience focusing on select, mid-size & large commercial accounts. Michelle’s experience in insurance lends her well to managing our insurance tailored software, including overseeing, training and streamlining our processes within Applied EPIC to ensure expedience, cohesion and efficiency. Nina joined Daigle & Travers in 2017. She graduated from Fairfield University and spent her career in various research and accounting roles. In her free time, Nina enjoys relaxing with her family and volunteering with programs that combat hunger and homelessness; her latest endeavor is mentoring a weekly theology seminar. To read more, visit Nina on LinkedIn.